In this blog post, Kindu Mekonnen, chief scientist in the Africa RISING project in Ethiopia, reflects on his recent project sites visits in Tanzania. The Africa Research in Sustainable Intensification for the Next Generation (Africa RISING) project in east and southern Africa recently organized field visits in Tanzania to share experiences and strengthen project collaborations across the three Africa RISING projects (Ethiopian Highlands, East and Southern Africa, and West Africa). The visit to Mbeya, Iringa, Kongwa (Dodoma), Babati and Arusha project areas took place 1–12 March 2018 and included tours of the mother trials demonstration sites of maize and legume cropping systems, visits to see soil and water conservation practices (agroforestry, tie-ridging, ‘fanya juu/chini’ terracing), livestock production interventions (forages and feed processing, poultry housing and feeding), improved vegetables production (micro-irrigated vegetables in screen houses), post-harvest technologies (maize shellers, pick bags and dryers), and nutrition interventions (food formulations for children). Photo 1: The project is benefiting the youth through poultry production interventions (photo credit:ILRI/Kindu Mekonnen). Strong scaling up partnerships: The link between Africa RISING and the Tanzania Staples Value Chains (NAFAKA) projects is very strong and they jointly facilitate scaling of shared technologies/innovations that have been validated. The two projects also have strong communication and capacity development activities and they jointly organize and provide training on sustainable intensification (SI) innovations/technologies and emerging issues such as armyworm control. They have also created partnerships with value chain actors such as agro-dealers, manufacturers, farmers, national and international research organizations, extension groups, non-governmental organizations and private entrepreneurs. 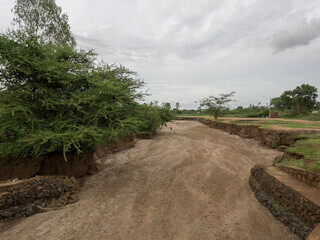 Photo 2: Soil erosion and gully formation in Africa RISING sites in Tanzania (photo credit: ILRI/Kindu Mekonnen). 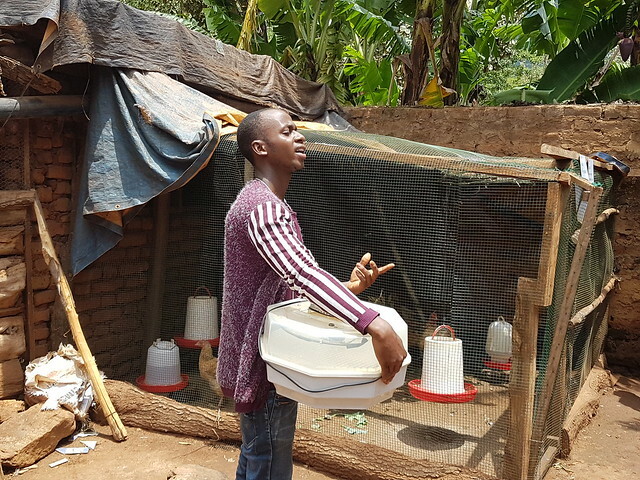 Poultry interventions helping women and youth: Poultry research and development interventions are playing an important role in diversifying income through selling eggs and improving nutrition of smallholder farmers by providing more eggs and chicken meat for consumption. Improved poultry breeds and housing have been introduced to more than 100 households in Africa RISING sites in Tanzania and many women and youth are reaping benefits from keeping poultry (see photo 1). New methods of vegetable farming: The use of research and development (R4D) strategies in vegetable production was seen in the use of appropriate water-lifting and delivery devices and irrigation practices. The idea of grouping/clustering farmers to work together and linking them to markets, providing appropriate training on agronomic practices and health-related issues were very instrumental in improving vegetable farming. A capacity building scheme has been used to expose farmers to high value vegetable varieties, improved irrigation methods that minimize vegetable food contamination, minimize pests and disease incidence and reduce over reliance on pesticides. 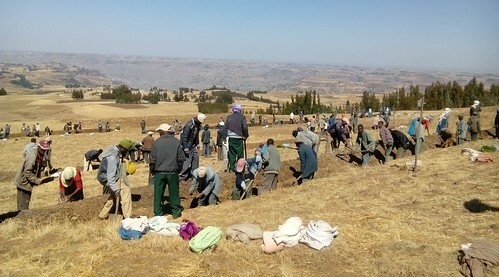 Photo 3: Soil and water conservation with community mass mobilization in Ethiopia (photo credit:ILRI /Kindu Mekonnen). Improving household nutrition: The Africa RISING program contributes to the Feed the Future program goal of reducing hunger, poverty and undernutrition by delivering high-quality research outputs that address these problems. Consideration of nutrition research and demonstration of nutritious food formulation by the project in Tanzania has helped households link production with nutrition. The project has trained mothers with children under five years on food safety, hygiene and nutrition through intensive positive deviance approach during feeding trials. It has also conducted monitoring studies before and after feeding trials involving children. Holistic interventions: The project has tried to integrate research interventions and to quantify products and services to convince beneficiaries such as farmers to integrate agroforestry, poultry production and soil and water conversations (SWC) approaches. The use of these interventions was observed at the farm level during the visit. In Kongwa (Dodoma), Tanzania trees such as Gliricidia sepium have been planted along terraces in farms. They provide soil erosion control, improve soil fertility and the micro-climate in addition to providing wood for fuel, and feed for animals including chicken. Use of multiple approaches: The use of different R4D and scaling approaches including working with village-based agri advisers (VBAAs) was observed. Learning villages (villages that successfully implement Africa RISING validated technologies) have also been created to share good agricultural practices (GAPs) to other farmers. A farmer-based approach, where lead farmers are selected and trained together with the public extension workers, was found useful to speed up scaling of Africa RISING technologies. Under this approach, farmers are clustered around lead farmers and learn-by-doing via on-farm evaluations and training. The Africa RISING team monitors progress and backstops lead farmers. Communication and knowledge sharing: Informative posters have been prepared to demonstrate research activities in the field on topics such as integration of agroforestry, livestock for enhanced productivity and resilience, and integration of crops and poultry for enhanced productivity. These posters are brief and well-illustrated. They clearly show problems, research approaches, key results and conclusions. The project staff also work with farmers to help them document their observations of the action research interventions they have applied in their farms as way of ensuring that farmers’ capacities are built. Strengthening documentation: During the field visit we observed that farmers are modifying technologies introduced by the Africa RISING project, for instance, poultry houses. Documentation of the modifications they are making is necessary because their experiences can help other chicken farmers. Taking photos of modified chicken houses and creating photo galleries could be one way of sharing these lessons with wider audiences. Photos 4: Farmers’ feeding systems in Africa RISING sites in Tanzania (photo credit: ILRI/Kindu Mekonnen). Sharing and learning visits: Soil erosion is a serious concern in the Kongwa and Babati project areas (see photo 2). Dealing with the problem requires government support at ward, district and regional levels and collective action by all agriculture sector players. Communities can also play a role in treating gullies using landscape or wide area planning approaches to halt land degradation. 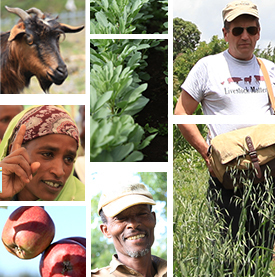 To this end, organizing experience sharing visits for agriculture officials, experts and influential farmers both within and beyond areas with SWC success stories, which has proved successful in Ethiopia, can help (see photo 3). Combating soil acidity: Liming, or the application to soil of calcium- and magnesium-rich materials in various forms, is one of the interventions implemented to combat the effects of soil acidity. However, the replicability and sustainability of this intervention depends on a precise rate of lime application, access to materials, and frequency and methods of application. Due consideration should be given to combating the soil acidity problem in Iringa. Photo 5: In Basona in Amhara, Ethiopia, farmers use improved feed troughs to feed cattle (photo credit: ILRI/Kindu Mekonnen). 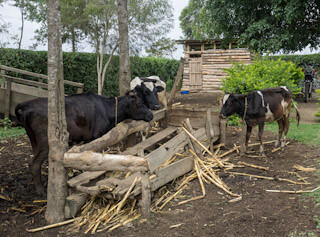 Enhancing animal feeding technologies: Farmers in different project sites use crop residues as livestock feed. But feed wastage and contamination is common. For example, the feed troughs that some farmers were using in Babati District lacked shading and were poorly constructed (see photo 4). 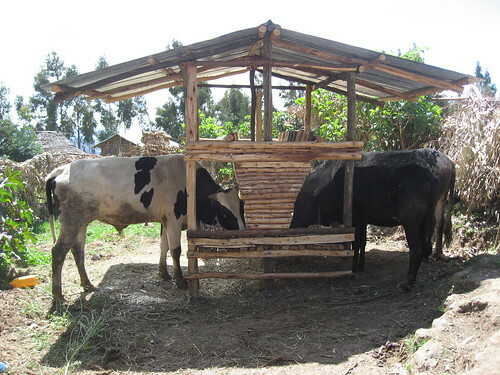 In Ethiopia, however, the Africa RISING project has introduced a feeding trough technology which has been well received by farmers, which can be customized to the needs of Tanzanian farmers (see photo 5). Tags: Field Visit, ILRI. Bookmark the permalink.